The second patch for Black Hole has arrived adding the new survival mode. The first patch for Black Hole has arrived. The new v1.2 patch for Black Hole has been released adding the new survival mode where you have to prove your skill to survive as long as possible More patch notes here. 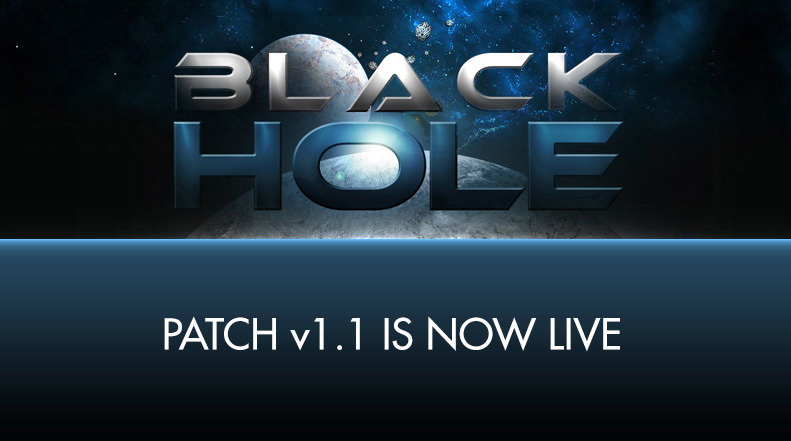 Today the first patch for Black Hole went live. Highlights are multiple save slots and a game speed option. More patch notes here. 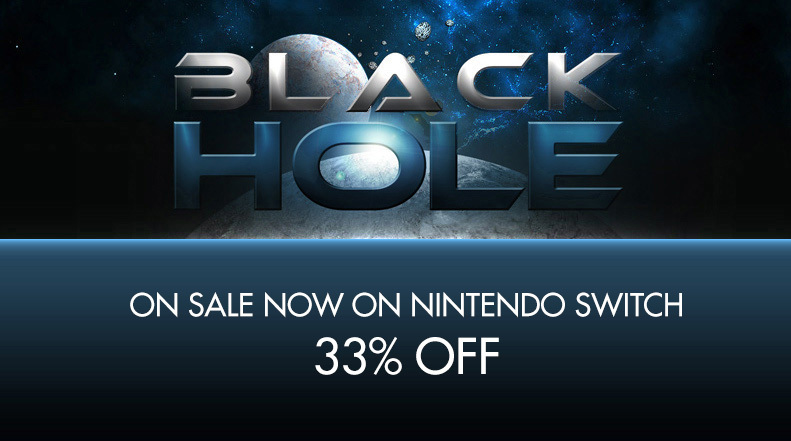 From 25th June till 7th July Black Hole is on sale and will be available for 33% off. Patch notes for the upcoming patch v1.1 will be revealed soon. More info available on the → Nintendo.com page. From 22nd March till 5th April Black Hole is partaking in the Nintendo Switch sale 'Spring into Action' and will be available for 30% off. With great pride you can tell you, that the game has finally been relesed for the Nintendo Switch. It was a tough fight getting rid of all the last little bugs, but we think it was worth it! Have a look at the game on the → Nintendo.com page. The new trailer can also be watched on → YouTube. To make you a little more hungry for the game we put together a small teaser for the Nintendo Switch version. → Watch it on YouTube. We finished adjusting the game for the Nintendo Switch and today we finally (after many optimizations) submitted it to Nintendo for approval. Of course it can take a while for them to test everything. We hope that now nothing stands in the way of a release in mid January 2018. HD rumble is working beautifully. And yes we even incorprated motion controls. We finished almost all the eShop assets and pretty much completed everything necessary. We will be submitting the game soon and hope to release it for Nintendo Switch January 12th! Porting the game is indeed not as difficult as anticipated. After ironing out some small problems we got the game running. Now we want to add some features whcih will work really well with the Switch. HD Rumble being the first, and maybe motion controls. Today we finally received our dev console for the Nintendo Switch. Other developers have said that it's not that difficult to develop for. We're excited! After 3 long but exciting years we finally published our first completely finished game Black Hole! Currently the game is available on the game consoles OUYA and Razer ForgeTV. More platforms like PC, Mac, Linux, iPad and Google Play are being targeted and will be available there soon. More information about Black Hole here.